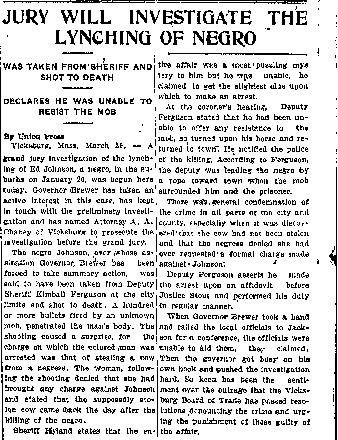 Killed March 19th, 1906. 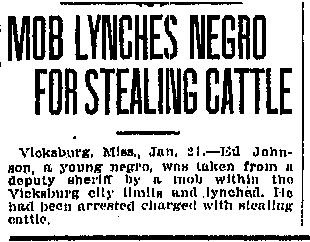 Sheriff Shipp, a Confederate veteran, stepped aside and allowed Johnson to be taken from jail and lynched. In addition to the news articles below, this incident is discussed in the book, Contempt of Court: The Turn-of-the-Century Lynching that Spawned a Century of Federalism, which is available from AbeBooks, Amazon, and others. As of December, 2015, reportedly a movie is in development based on the book.